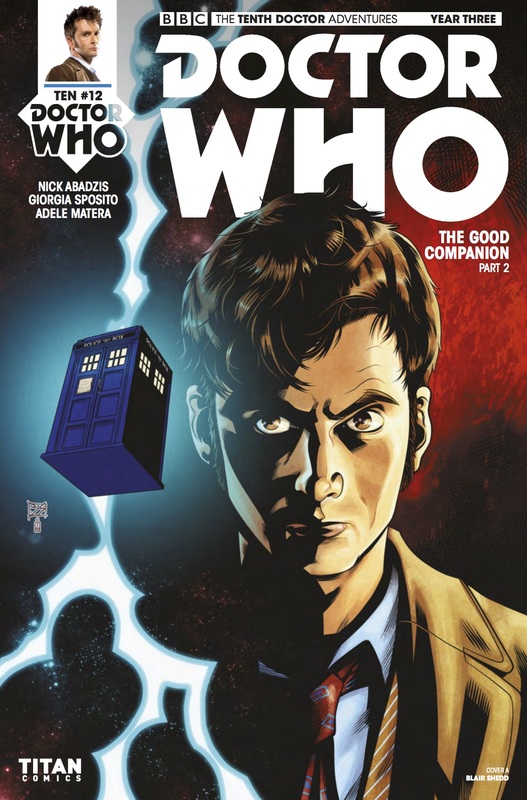 The latest issue of Titan Comics' ongoing Tenth Doctor adventures goes on sale today online and in comic stores. 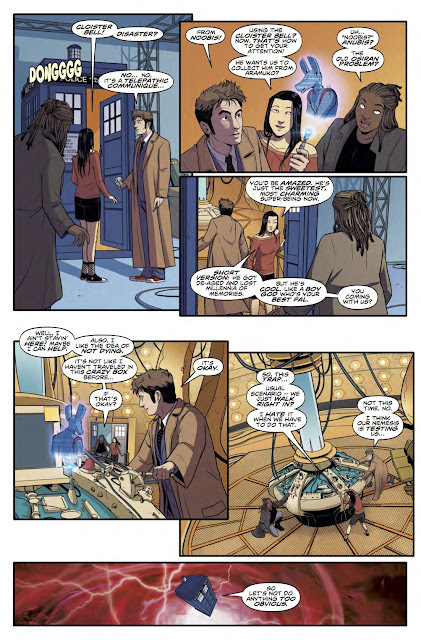 The adventures pick up the Doctors' travels after he returned the memory-wiped Donna Noble back to her family and find him back in the TARDIS with new companions Gabby Gonzalez and Cindy Wu. 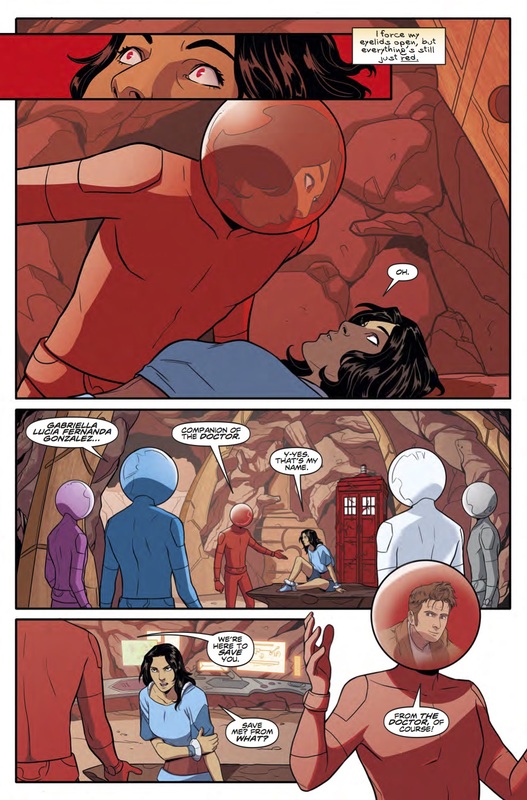 While working with Zhe to control her spectacular block transfer abilities, Gabby was kidnapped by the Red TARDIS! 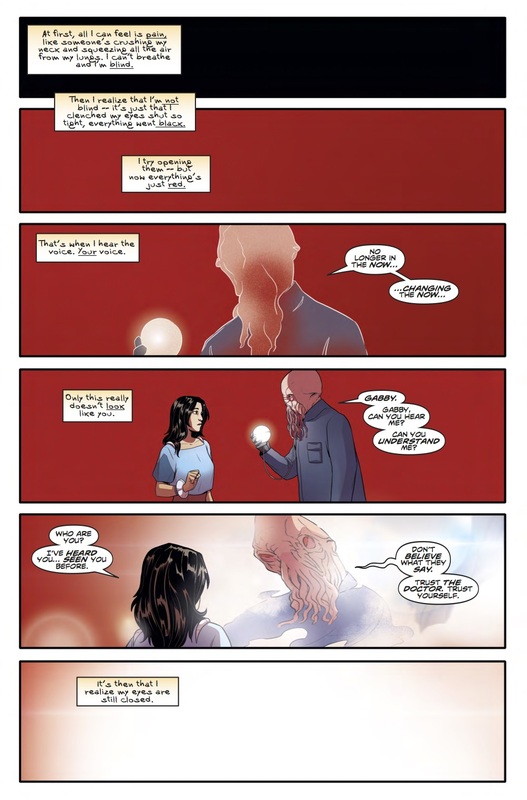 Meanwhile, the Doctor and Cindy were hot on the trail of Marteek, or rather, an imposter pretending to be Marteek, when they received a terrifying message from Cleo.. concerning the destruction of Earth! Buy the issue today in your local comic store, direct from Titan Comics or digitally from ComiXology. 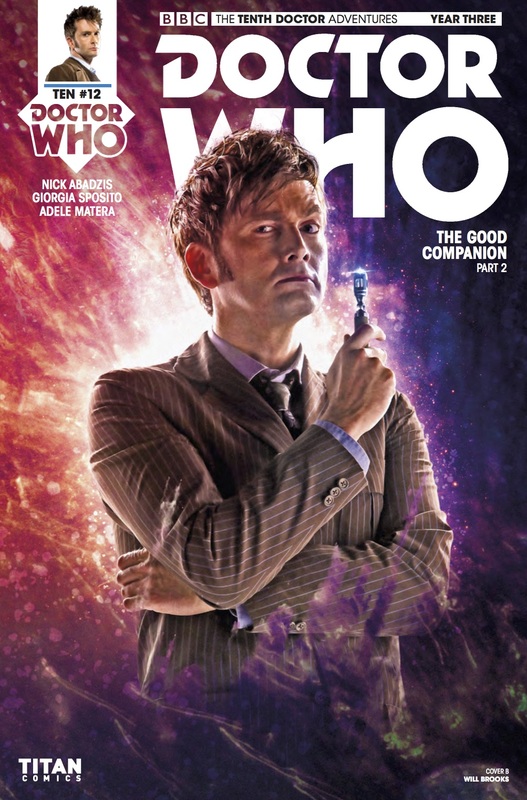 The issue comes with two variant covers, an art cover by Blair Shedd (above) and a photo cover by Will Brooks. 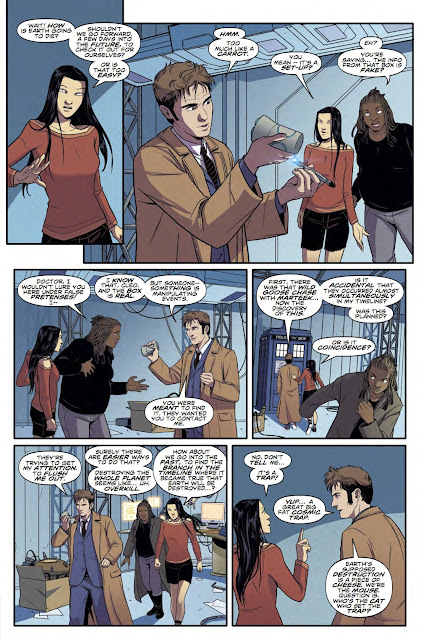 See below for some sample artwork.